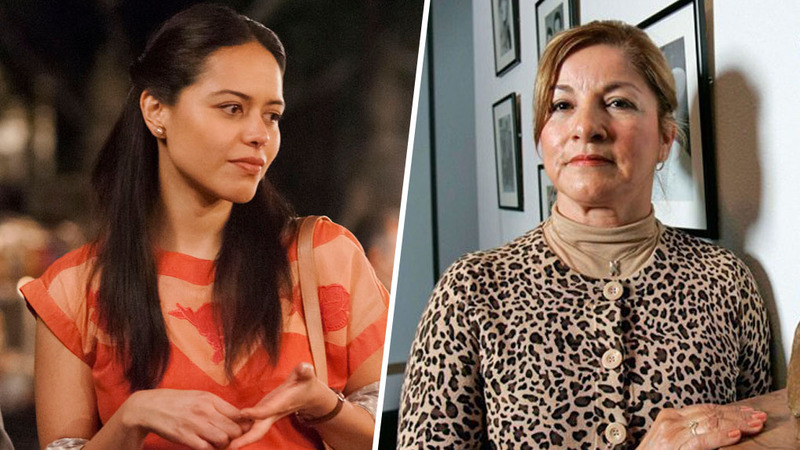 Among the many stories Narcos: Mexico told, it also depicted the true-life ordeal of Kiki and Mika Camarena in Mexico when the country was the dreaded hub of drug trafficking. Coming in as a law enforcement officer to fight crimes must have seemed like one of those usual cop expeditions to DEA agent Kiki Camarena, little did he know that tracking down and capturing a Mexican drug lord Felix Gallardo would not be as easy as he expected. Narcos: Mexico is a spinoff of the parent series Narcos which centered on the origins of the bloody Columbian drug war and chronicled the events that occurred in the tussle to nab Colombian drug kingpin Pablo Escobar and his drug cartel. While the parent series focuses on the Columbian events, Narcos: Mexico takes us back to the roots of the drug war when Mexico was the hub of drug trafficking by unscrupulous and lawless dealers. Moving from Columbia to Mexico was not the only major difference in the show, a new cast was also employed to bring to life the events of Mexico’s criminal past. It starred Diego Luna as Felix Gallardo and Micheal Pena as Kiki Camarena, the show’s lead characters. Felix Gallardo was a drug lord also known as El Padroni who built and equipped his drug empire in Mexico while Kiki Camarena, a DEA agent fights to pin him down. The fight would have probably been easier if Kiki was alone, but he had relocated with his pregnant wife, Mika, and son to Mexico. It was a peaceful and serene life in California for Kiki and Mika Camarena, and their son. Although as a DEA agent, Kiki and his very supportive wife already knew what he was in for, and expected all the troubles that came with being a law enforcement agent. But it was not long before it dawned on Mika that she would have to relocate with her loving husband and their child to Guadalajara, Mexico. As a loving and supportive wife, she went with her husband; little did she know they were in for the worst days of their lives. Tracking Felix Gallardo and his cartel was a dangerous path Kiki Camarena decided to take without hesitation. Mika, knowing her husband was in danger, was always on the lookout for signs. She even goes as far as revealing to Kiki’s boss, Jaime (played by Matt Letscher) of her plan B with her husband in the event that he (Kiki) gets captured. Kiki Camarena on his part did all he could to make Mika less worried about his safety. He wouldn’t tell her when he was in trouble and would sometimes tell her little about his endeavors. Mika Camarena’s fear was unfortunately realized on the fateful day her husband was killed. From a young woman married to a strong vibrant man, she was turned to a widow and was left alone with her two sons. For Mika, it seemed like the world had ended for her after Kiki Camarena died, but she had to be strong for her children. Narcos: Mexico ended with a suggestion that the show would continue. It isn’t certain but of course, viewers would have to watch Mika Camarena and her sons live without their father and husband. In reality, Kiki Camarena died in 1985. He had been abducted in February 1985 by unidentified men on his way to meet his wife, Mika, for lunch. The men in question were working on orders given to them by the big wigs of the Guadalajara Cartel. Kiki Camarena went missing and no one knew what had happened at the time. A month after he was declared missing, he was found dead in Michoacan, Mexico. His body was found alongside that of pilot Alfredo Zavala. The DEA’s search intensified after the bodies of the deceased were found. The agency had begun a homicide investigation into his death after having found traces of torture on the bodies. After the death of her husband, Kiki, Mika Camarena, in real life, moved back to California with her sons. At the time, the United States was governed by President Ronald Reagan. A campaign titled ‘Red Ribbon Week’ which still takes place every October in honor of the late DEA agent was launched that year. Today, Red Ribbon Week has become one of the largest drug prevention awareness campaign.